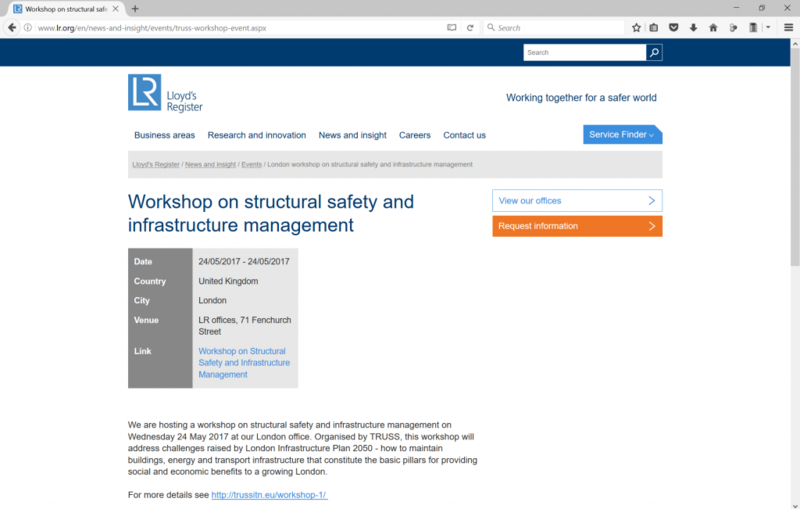 In page 3 of the Technical News issue 100 (January 2017) by Arup Ireland, it is possible find an article about TRUSS mid-term review at Arup. 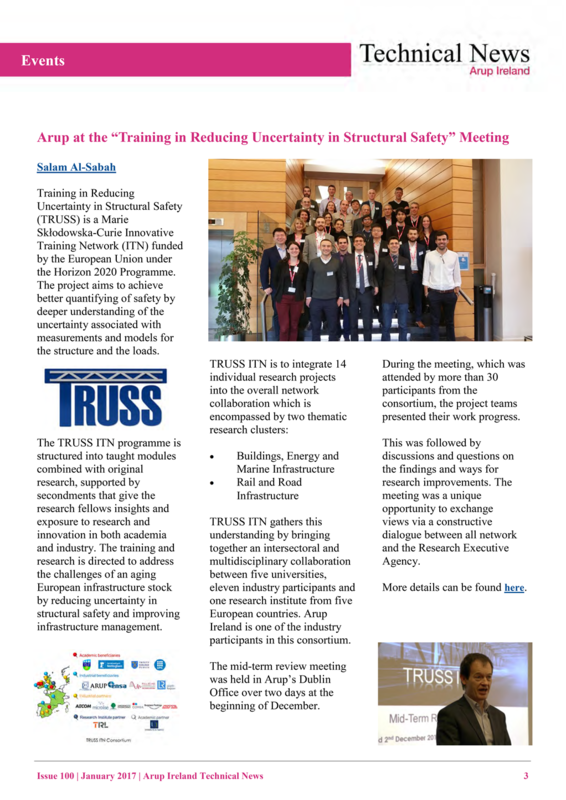 The article is written by Dr. Salam Al-Sabah, who reports on the mid-term review meeting held in Arup’s Dublin Office over two days at the beginning of December 2016. The meeting was attended by the Project Officer and External Assessor from the Commission, and more than 30 participants from the consortium. 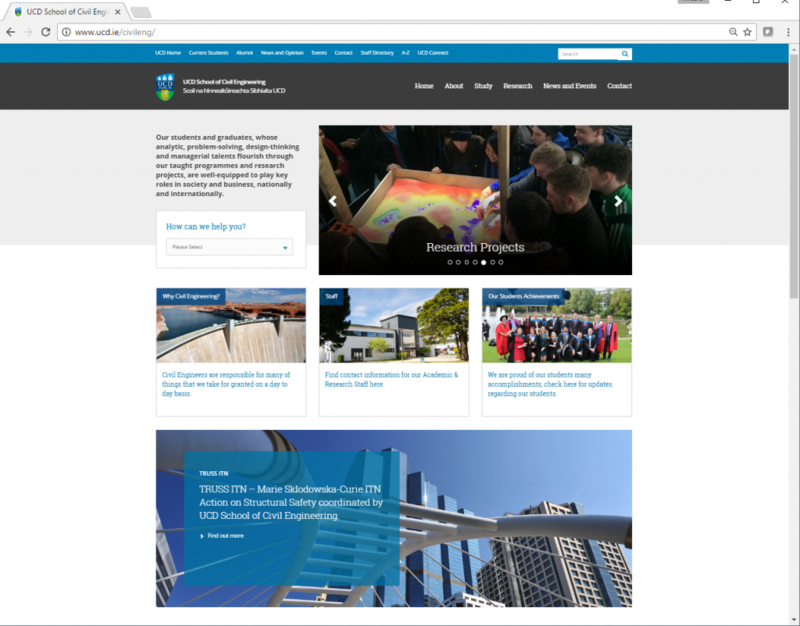 Arup Ireland Technical News is edited by Macdara Ferris and published monthly, for internal circulation only, on the first Monday of the month. 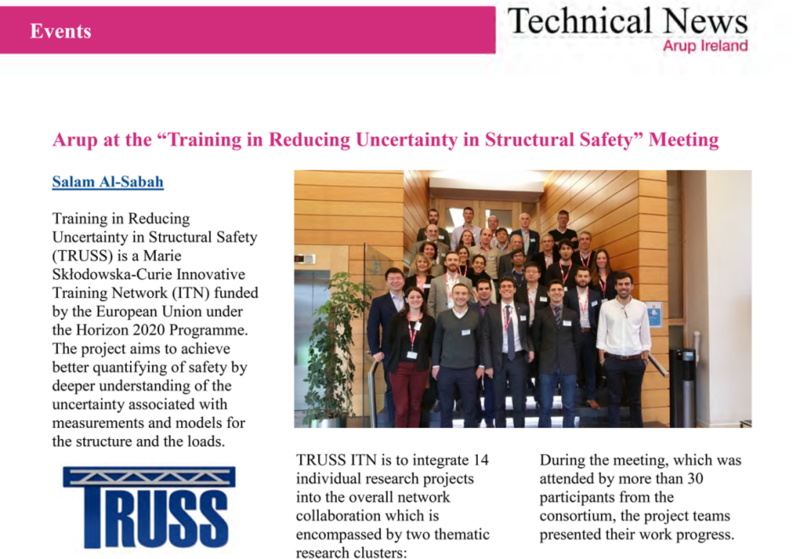 This is an example of how the communication offices of our partners are used to disseminate TRUSS ITN via articles in institutional magazines. Ove Arup and partners is one of the largest engineering consulting firms in Ireland, with over 550 qualified and accredited engineers and staff in our four offices. The Arup Group has over 14,000 staff based in 92 offices across 42 countries (2016). 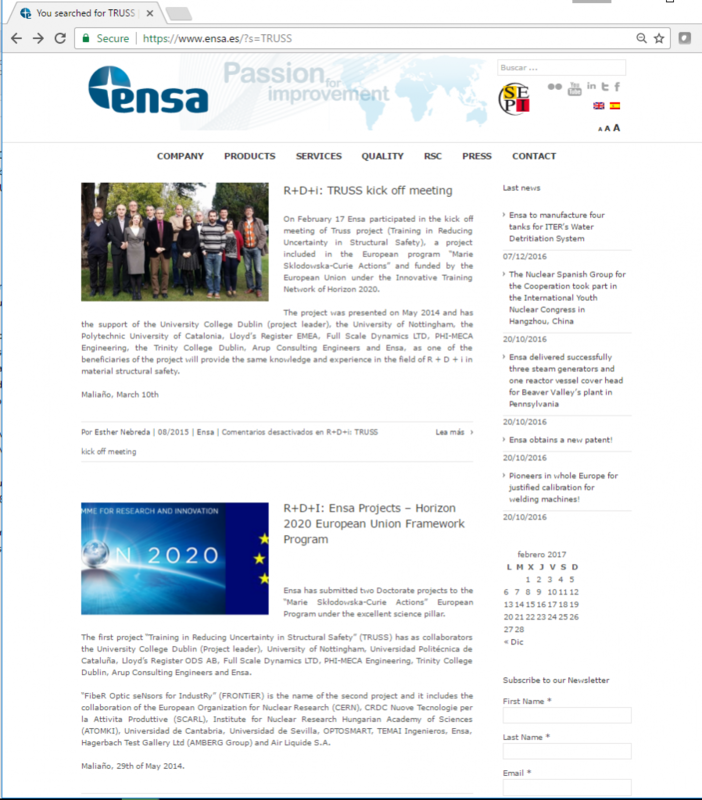 Other examples of dissemination by our partners include institutional newsletters and websites. 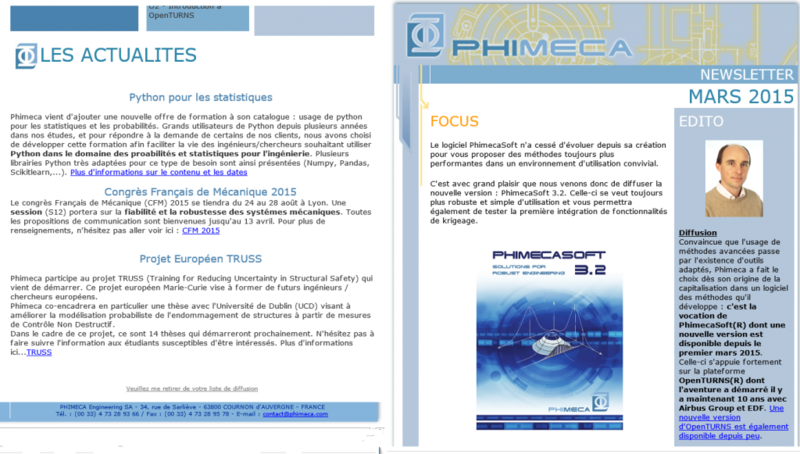 For example, the first picture below illustrates a newsletter writing about TRUSS ITN and linking to it from Phimeca Engineering with 21 staff members and customers including automobile -Michelin, Bosch, Faurecia, Valeo, Renault-, aeronautics -EADS, Turbomeca, CNES-, Defense -CNIM, DCNS, SAGEM, MBDA, ECA, DGA-, Energy -Total, EDF, AREVA, CEA ITER-, construction -Lafarge, CSTB, Egis- and other -Philips, Carmat, Vallouret, etc. 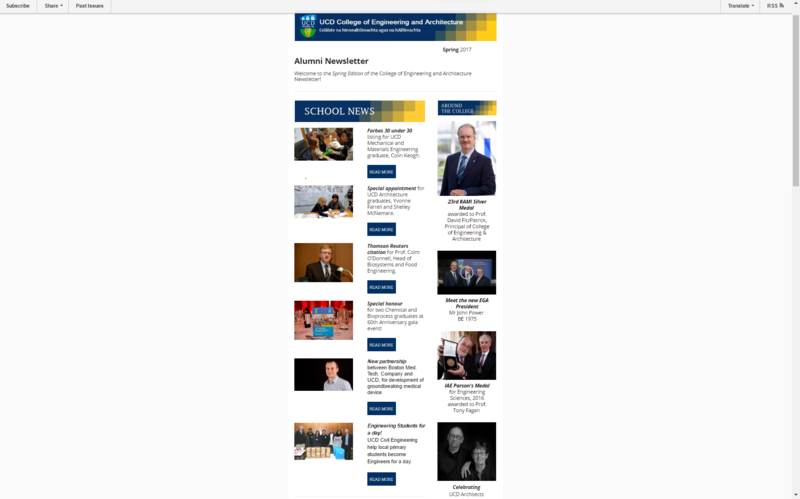 The second picture shows the 2017 Spring Edition of the College of Engineering and Architecture Alumni Newsletter in UCD, Ireland. An article titled “Engineering Students for a day!” in this College Ezine issue features the outreach activity by TRUSS at Willow Junior School. 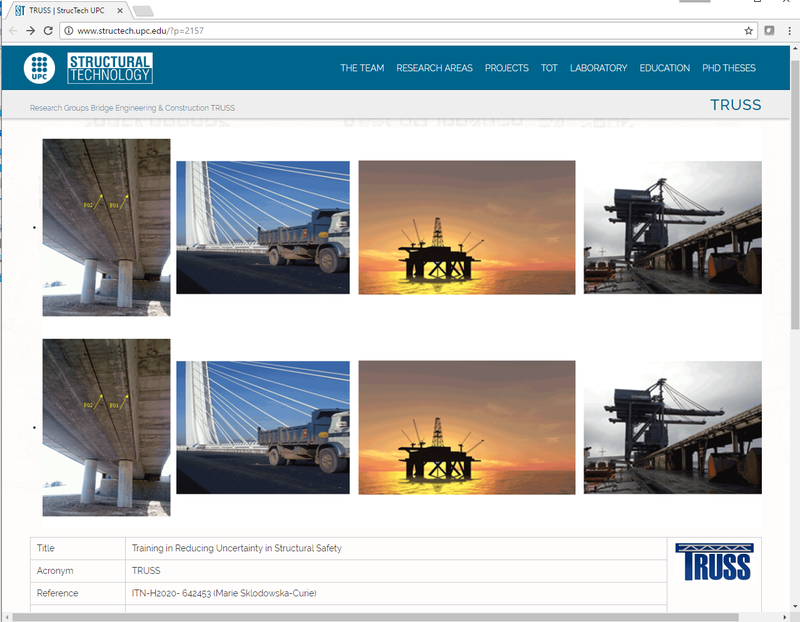 Examples of local websites advertising TRUSS ITN and linking to our homepage are found in Universitat Politecnica Catalunya, with about 30,000 students and 2,500 professors and researchers, University College Dublin, the largest Irish University with over 32,000 students and 1,482 faculty members, Equipos Nucleares S.A., with 388 employees serving over ninety nuclear power plants around the world and Lloyd’s Register with some 8,000 employees operating in 78 countries .